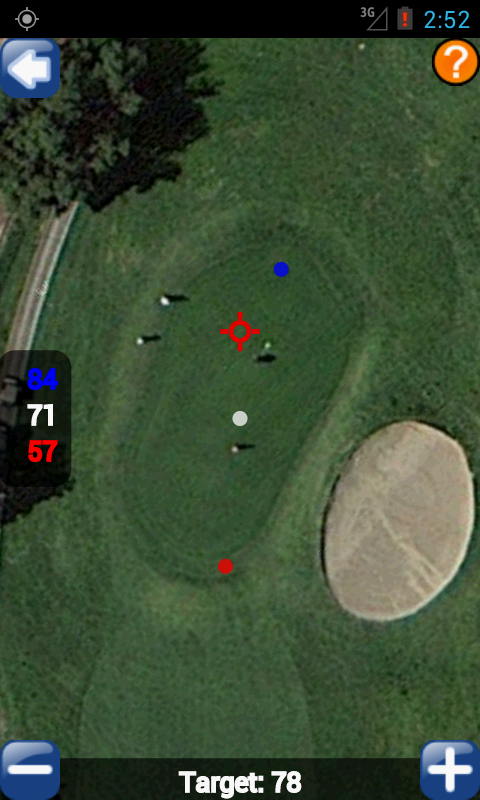 Golf Shot Tracker Pro is an all-in-one golf app for your Android phone. 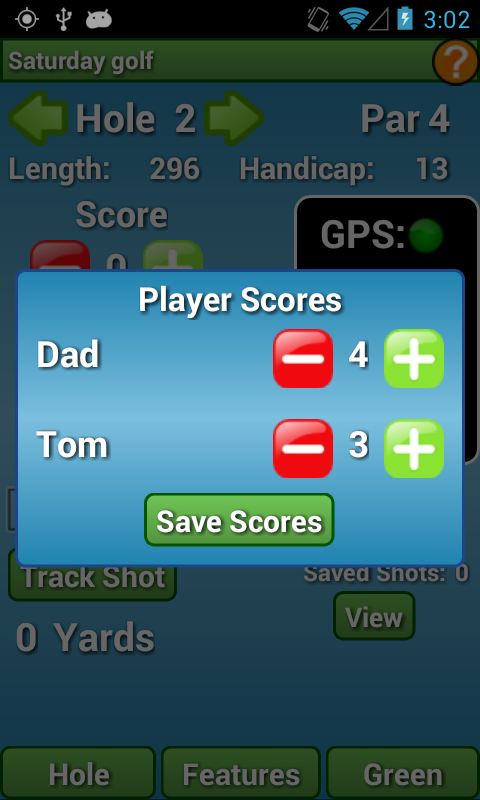 Get your distance to the green, keep score, and track your stats. 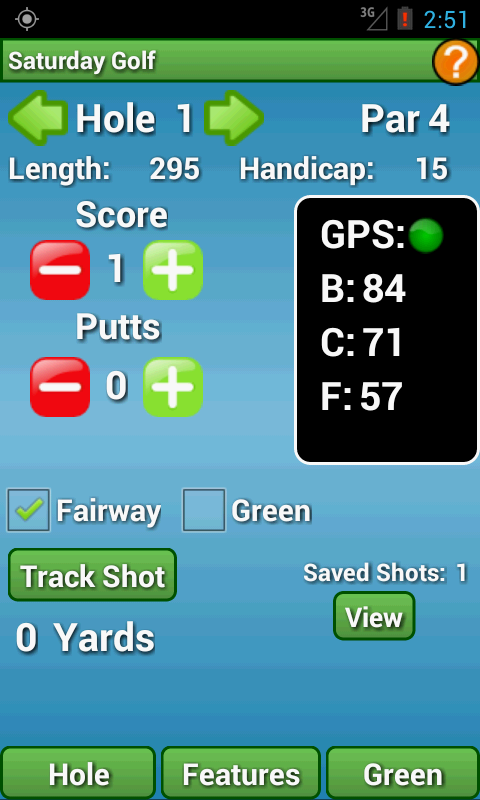 Try out Golf Shot Tracker Pro today with the 30 day Trial version in the Android Market. 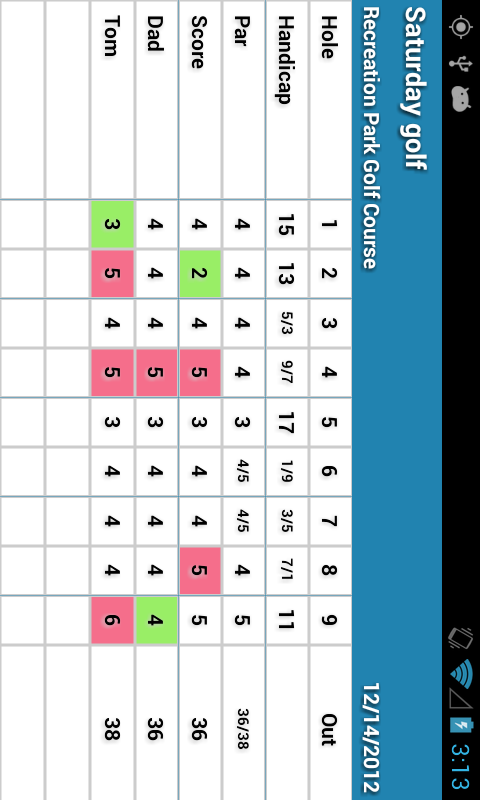 View the Android App Overiew to see the app in action. 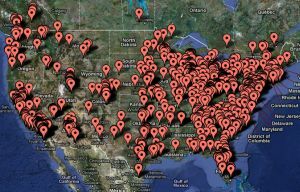 We have over 20,000 courses - Want to know where we have courses? Mapping a new course only takes 15-20 minutes per course! 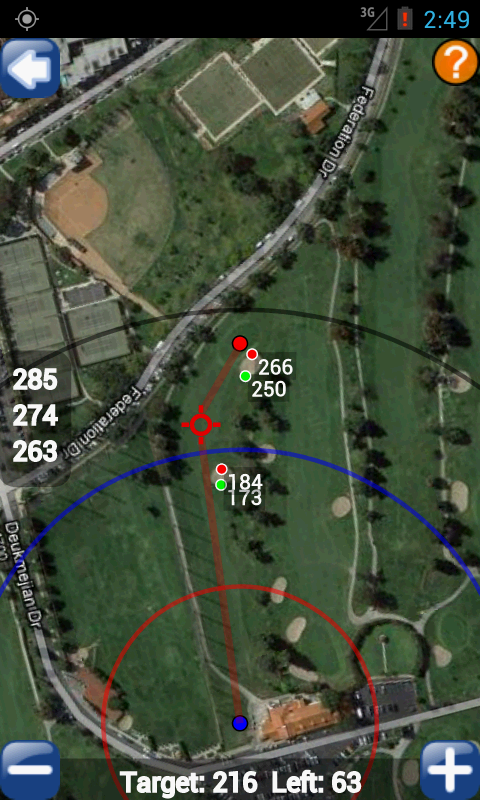 Our Course Mapping Tutorial will show you how quick and easy it is to map your course. 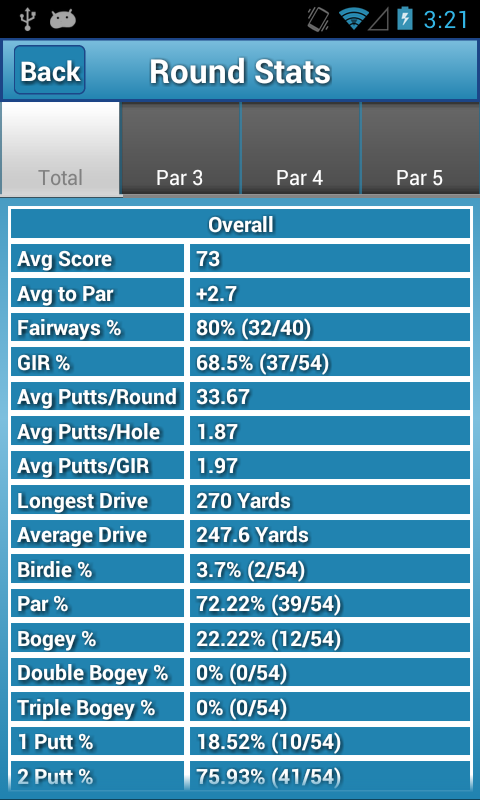 Compile stats for greens in regulation, fairways, putts and more! 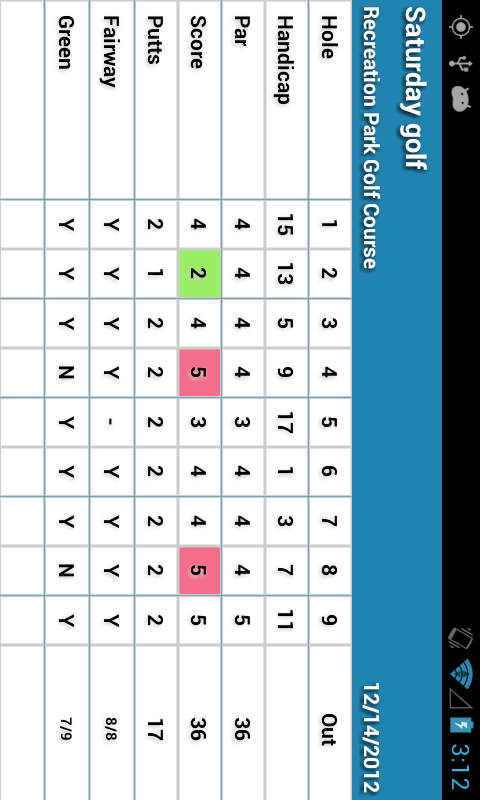 Backup your data to your SD card so you can move your stats to your new phone.